The US European Command (USEUCOM) on Monday deployed a Terminal High Altitude Area Defense (THAAD) system in Israel in “as a demonstration of the United States’ continued commitment to Israel’s regional security under the Department of Defense’s Dynamic Force Employment concept,” the US Embassy stated. “THAAD is the most advanced integrated air and missile defense system in the world, and this deployment readiness exercise demonstrates that US forces are agile, and can respond quickly and unpredictably to any threat, anywhere, at any time,” the statement added. 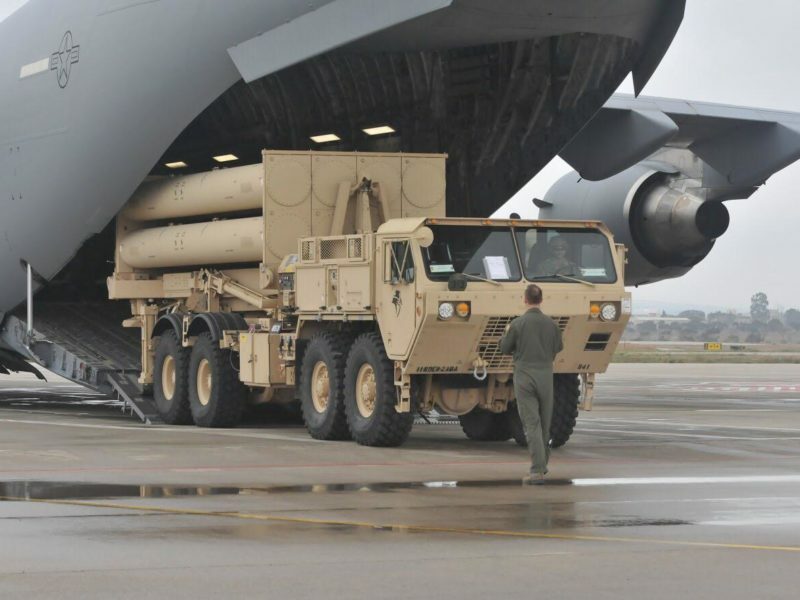 The THAAD deployed from the 11th Air Defense Artillery Brigade, 32nd Army Air and Missile Defense Command (AAMDC) stationed at Ft. Bliss, Texas and the deployment incorporated some 200 soldiers based in the US and Europe. During their deployment, the US troops will work in various locations throughout Israel and will practice operational procedures for augmenting Israel’s existing air and missile defense architecture. “The deployment of this American system in Israel emphasizes the US’ commitment to the defense and security of Israel. It is also an opportunity for the IDF to practice integrating advanced American air defense systems into the IAF Air Defense Array,” the IDF added. This drill is taking place just weeks after Israel Air Force (IAF) soldiers and US troops successfully concluded the “Juniper Falcon” 2019 in Israel which simulated the rapid deployment of US forces and their assisting in Israel’s missile defense. The six-day exercise was performed by the IAF Air Defense Division in cooperation with the USEUCOM. As part of the exercise, the largest directorate exercise performed by the IDF in cooperation with the US Military, the two militaries drilled the arrival of US forces to take part in defending Israel against missile attacks, just as it would occur in real-time war. “The American THAAD system is considered one of the most advanced systems in the world, and together with our defensive systems we are even stronger in order to deal with near and distant threats from throughout the Middle East,” he added. There are American crews deployed in Israel throughout the year, regardless of exercises. They train alongside Israeli crews both inside and outside of Israel so that they are prepared for when they are called upon to assist in defending Israel.